This technical report is in response to item five in the Delta Stewardship Council project #6276. 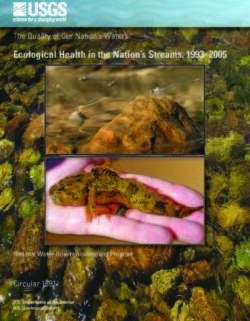 The data collection and analysis were completed by Freshwater Map of Bigfork, Montana. The objective of this phase-1 project was to demonstrate, to a broad audience, how our high-resolution, hydro-acoustic, river-mapping services could help people working toward water resource solutions for the delta. The overarching goal for the State of California is to balance human needs for freshwater with an ecological healthy river-delta system under the “co-equal goals” legislation. The fundamental question being addressed by all stakeholders is: how much water can be drawn from the delta and still maintain a healthy delta wide ecosystem? However, there is no agreement yet on how much the ecosystem needs or how a multitude of uses and flow regulation impacts both humans and the ecosystem. A suite of computer models has been developed and refined over the past two decades to address this fundamental question (Fig. 1). These models were developed to help guide resource decision agreement on how to manage freshwater that flows to and through the delta. The data that we collect can help initialize, validate and greatly enhance many of these models (Fig. 1). 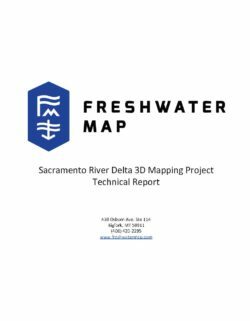 The data analysis presented in this technical report is a first pass summary of how the depth and flow data coupled to the sonar imagery can be used to help reach delta-wide agreement over water resource management .